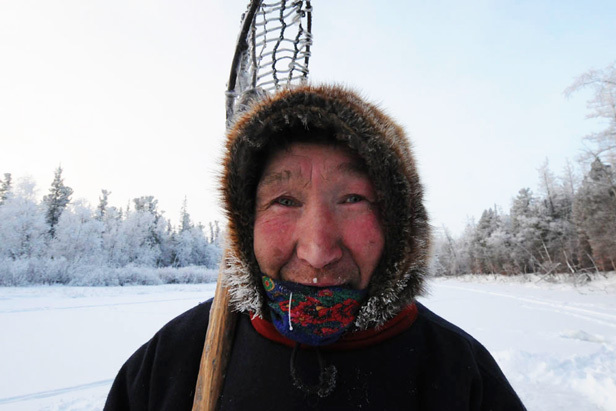 The Forest Nenets differ in their economic activities. While deer herding plays a lesser role, hunting and fishing hold an important place in their society. The Forest Nenets live in the forested tundra and taiga zones of Western Siberia. They usually fish on rivers and streams by obstructing the waterways with sticks covered by walls woven from twigs (although wire is more common these days). Each fisherman places these makeshift nets near his own encampment. The surrounding shallow rivers and lakes mostly contain ide, perch, carp, and other backwater fish. In the summer, the Nenets only fish for themselves. But when the cold season approaches, they fish en masse to sell their catch.